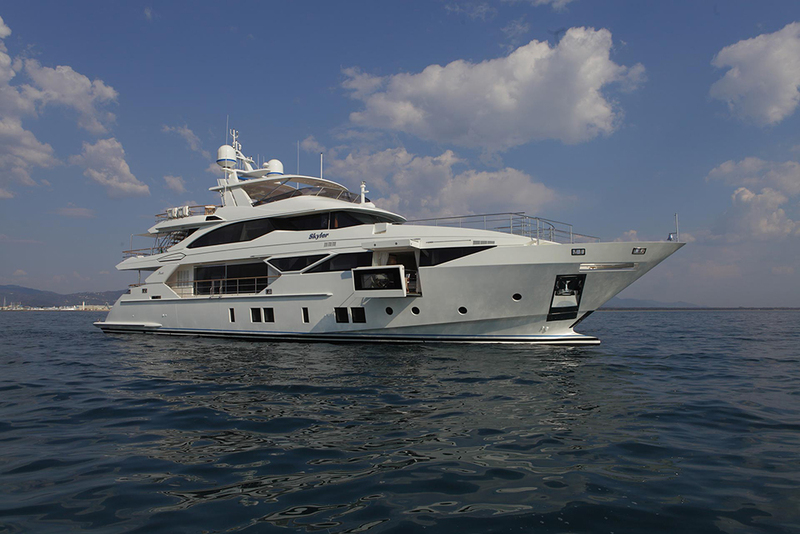 We all sometimes dream of being fabulously wealthy: the lottery, the slot machines, the online gambling... they all peddle the notion that you too could one day be able to afford absolutely anything that takes your fancy, including a superyacht (or two). And as we all know, superyachts are nothing without their toys. 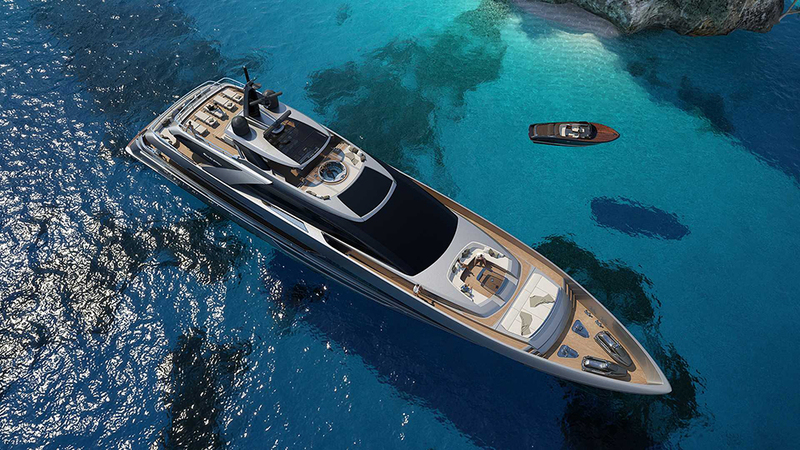 Since its foundation just over ten years ago, Swedish company Strand Craft has become famous for its strikingly styled, engagingly retro superyacht concepts – and the V8 Wet Rod, designed by Kurt Strand himself, is no exception. The V8 Wet Rod from Strand Craft has a top-end speed of 60 knots and is styled with ‘high end presence’. Conceived in collaboration with pro PW riders, this carbon-fibre craft is powered by a truly colossal 300hp 5.7-litre V8 engine for a top end approaching 60 knots. But it’s the styling that really makes the difference here. Gone are the toxic hornet colourways and the teen-toy plastic fairings of the mainstream PW industry and in come far more classical lines, more expensive materials and more profound high-end presence. 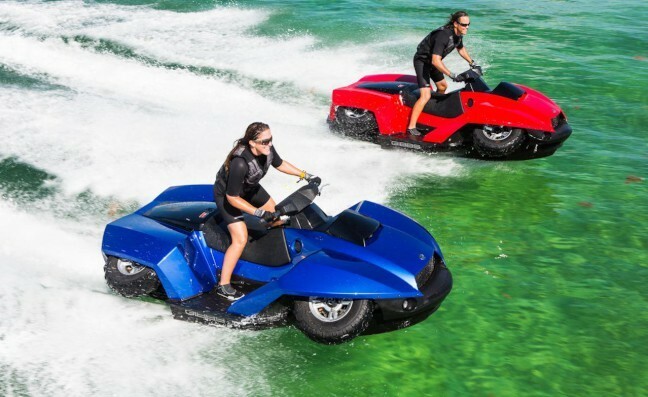 When it was introduced in 2012, the Gibbs Quadski wasn’t “the World’s first high-speed sports amphibian” as Gibbs claimed, but it did prove itself one of the most effective real-world incarnations we had seen. From personal watercraft to quad bike in four seconds flat, the Gibbs Quadski is a one-man amphibious vehicle that may soon have a two-person version as well. 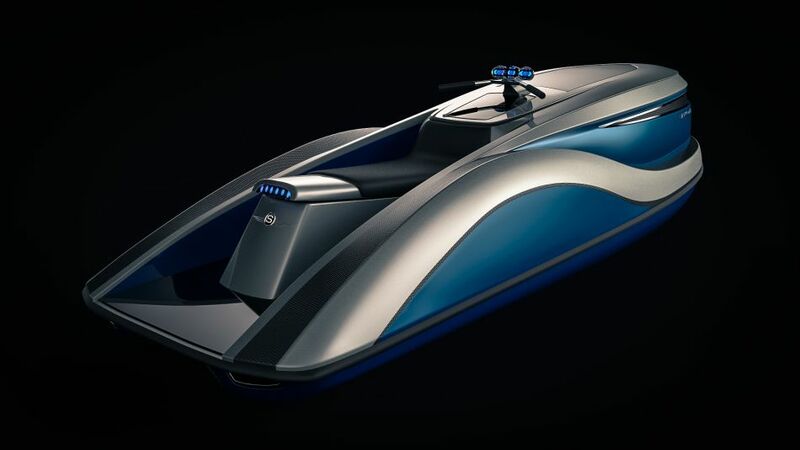 Powered by BMW’s K1300 engine, coupled to the company’s own patented water jet propulsion system, it is capable of achieving speeds of up to 40 knots both on and off the water. 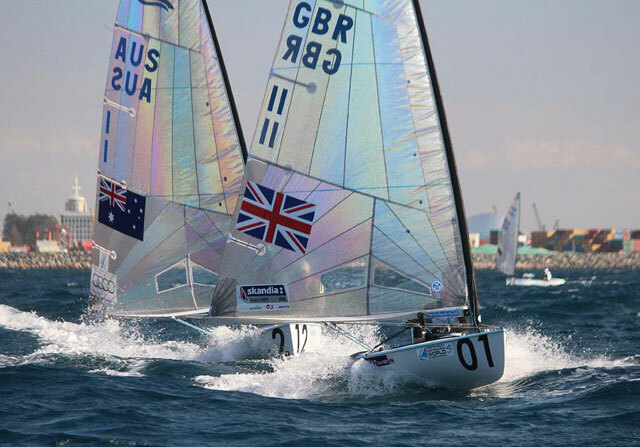 To help keep control of this, the lightweight composite hull is very beamy for a craft of this size and is coupled to a low centre of gravity and a broad, stable wheelbase of 1.8 metres. 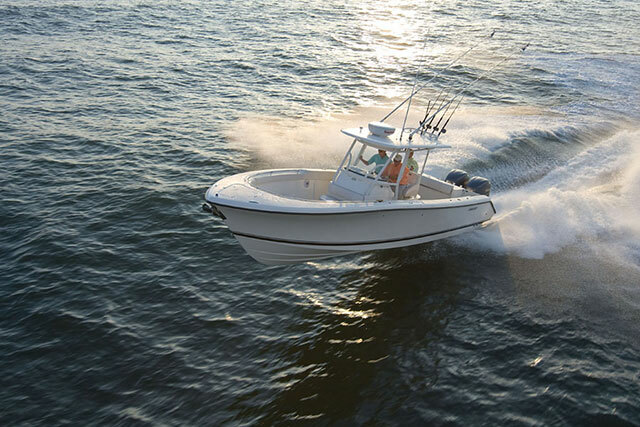 When you hit the water, the suspension system retracts beneath the flared topsides, enabling you to go from land to sea in just four seconds with nothing more than the push of a button. Rear-wheel drive is then replaced by jet propulsion and you are essentially the pilot of a conventional (if rather fat and weighty) personal watercraft. Certainly, the one-man model will do a good job, but if rumours of a soon-to-be introduced two-man craft turn out to be true, it might be worth waiting a bit. See the Quadski in action in Gibbs Quadski Video: From Quad Bike to Jet Ski in Seconds. 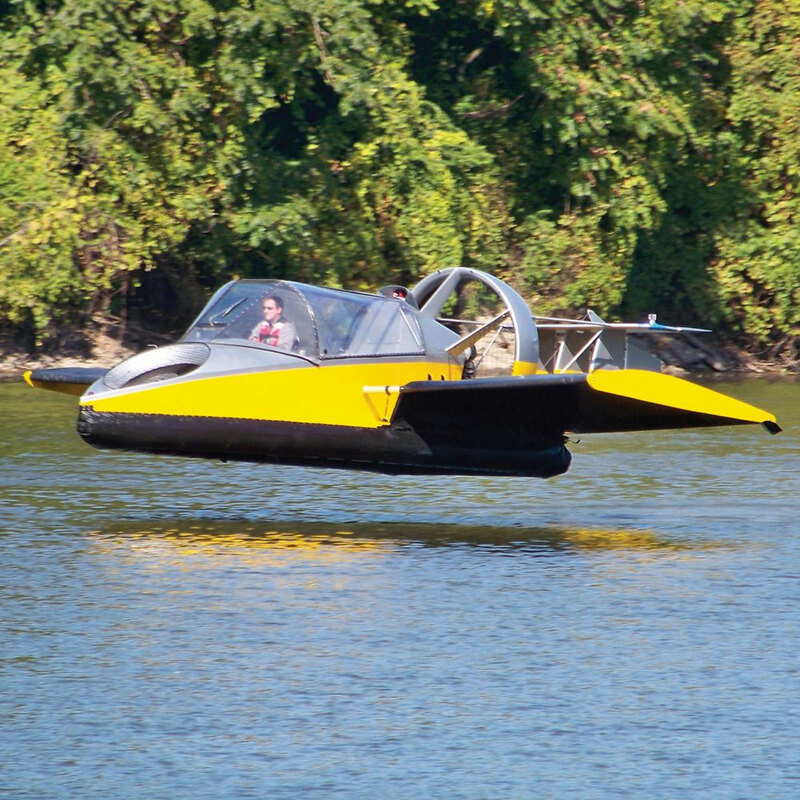 Like virtually all automotive products designed to operate in more than one theatre, the Universal Hovercraft 19XRW Hoverwing is quite an ugly piece of work. However, unlike most hovercraft, its performance figures make some genuine sense for the user. Capable of flying 20 feet off the ground at 70mph for up to 160 miles on a single tank, the flying hovercraft is a special toy indeed. Capable of carrying three passengers (or a total weight of up to 300kg), it will operate in fresh or saltwater, as well as on inclines of up to 30 per cent and over materials as varied as sand, shale, mud and rock. 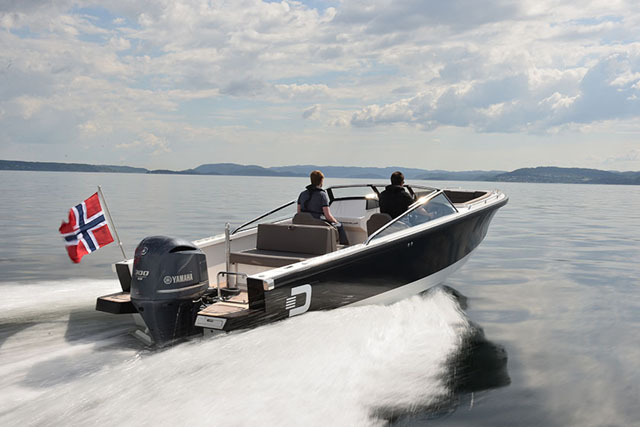 With a lightweight fibreglass and PVC hull beneath a wood and carbon composite structure, its 130hp twin-cylinder, liquid-cooled, petrol engine can achieve speeds of up to 70mph. And better still, with a ‘horizontal elevator’, a 60-inch carbon-fibre propeller and a high-speed lift fan, it can fly at heights of up to 20 feet and for distances as great as 160 miles on a single tank. Read more about hovercraft in our feature 5 of the best hovercraft. While a lot of personal submarines involve vast expense, great technical complexity and a degree of piloting dexterity the Average Joe lacks, the Ego Semi-Sub is designed to be an easy and accessible way to enjoy sub-surface exploration. 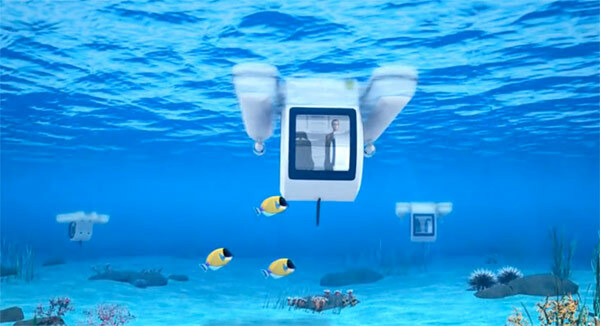 A floating bathing platform with a glass-bottomed gondola suspended underneath, the semi-submarine is a multi-purpose lounge station. Propelled by a pair of horizontal 3hp thrusters, it can run at a cruising speed of two knots and a maximum speed of three knots for anything up to eight hours on a single charge. With a length of just over 12 feet and a beam in excess of 11 feet, the stability of this broad, twin-hulled design with its submerged central cabin also looks extremely good. With a top-mounted camera, enabling you to manoeuvre the boat from the submerged helm via a dash display, the Semi-Sub is basically a big surface platform for lounging in the sun, with a submerged two-man viewing gallery downstairs. It’s a magnificently simple and effective concept – and if you find the SE model a touch sparse, you will be pleased to know that there is also an LE (luxury) version currently under development. The 29 is the larger of Iguana’s two amphibious craft – and like the smaller model, it gives you the ability to ignore tidal and anchoring constraints and ‘mount’ the land wherever the coast looks accessible. A fast tender with a set of tank treads stowed in the stern side panels for crawling up the beach, or taking on a bit of rougher terrain. 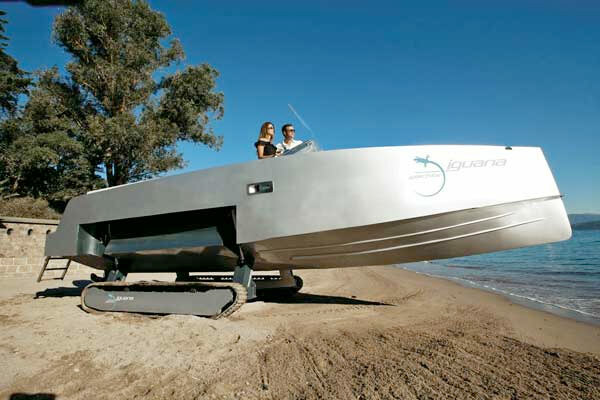 Designed to be a reinvention of the amphibious concept, Iguana Yachts has used engineers from both the marine and automotive sectors to generate an eight-man vessel with tank-style rotating tracks that can handle the kind of beach materials that would have sissy tyres scrabbling impotently for grip. 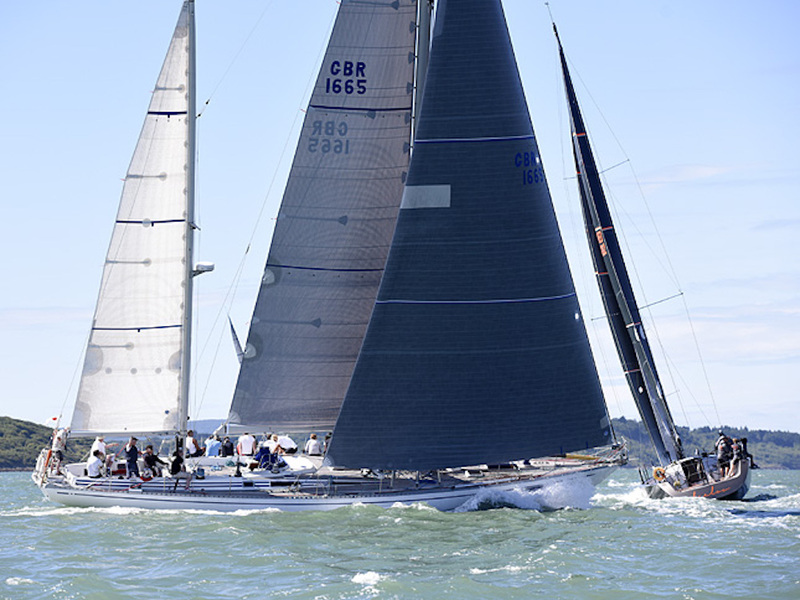 However, with an acutely angled, wave-cutting bow, a broad aft planing surface and a 300hp outboard, it will also hit a claimed maximum of 40 knots at sea in relative comfort. It’s easy to customise too. You choose either the ‘Classic’ or ‘Exclusive’ version and then speak to the design team about your personal choice of materials, equipment and fittings. As amphibians go, it looks like an extremely desirable piece of work. You might also be interested in reading our feature Top 10 coolest superyacht toys. Looking for a runabout? 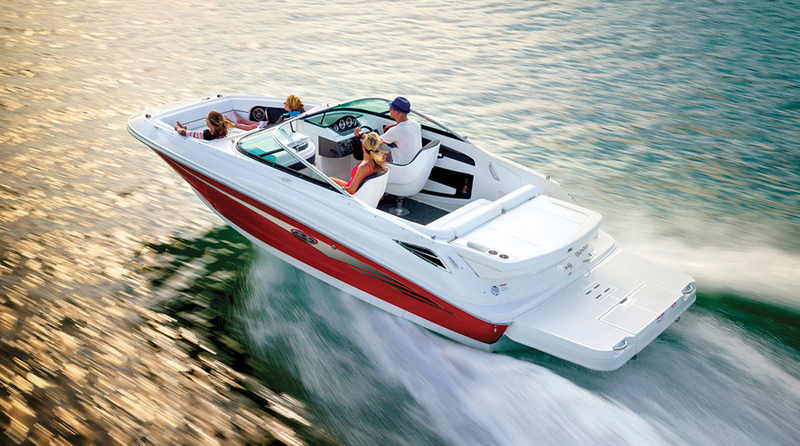 See 5 of the most rewarding runabouts and Family runabouts: buying a boat for everyone.